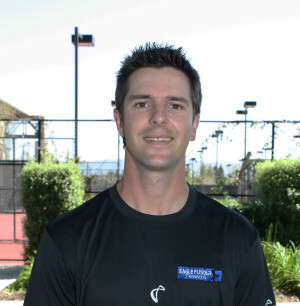 We are extremely proud of our coaches and staff at Eagle Fustar Tennis Academy! Our coaches bring playing and coaching experience from all over the world such as Serbia, Germany, Poland, Russia, Venezuela and Iran. Our coaches create an electrifying atmosphere that inspires players on the court and beyond to reach their full potential. We try not only to create better tennis players but better student athletes by insisting good values and habits such as team work, visualizing success, leadership, preparation, consistent improvement, extreme effort, and the ability to stretch yourself both mentally and physically. When working on an individual basis, students will get the one on one attention that is extremely important with regard to stroke production. Students will receive expert advice on technical aspects of every stroke and tactical knowledge from former collegiate players and world ranked tennis professionals. Lessons are available to any age or level of player. 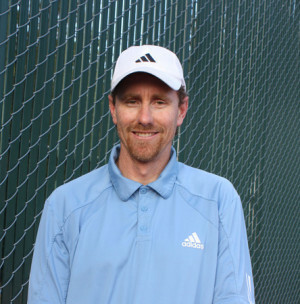 Brian Eagle co founded the Eagle Fustar Tennis program in 2003 alongside Nick Fustar with a mission to develop elite junior tennis players in Northern California by providing them the most professional and structured training possible. Eagle has helped grow Eagle Fustar to be the premier program in the Bay Area. Eagle was a highly ranked National and Northern California junior. In fact, he was ranked #1 in the 12s and 14s for four consecutive years and was a winner of the prestigious Fiesta Bowl National tournament. In his junior and senior collegiate seasons at UC Berkeley, Eagle played #1 and #2 singles and #1 doubles. Playing in the demanding PAC 10 conference, he achieved high rankings of #34 in singles and #19 in doubles. Eagle played professionally on the ATP Tour for 4 years. 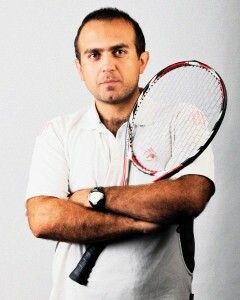 In that time, he won 7 professional doubles titles in the USA, Canada, and Mexico. He also traveled in Asia and spent considerable time in Europe where he had the honor of playing professional club tennis in Germany. 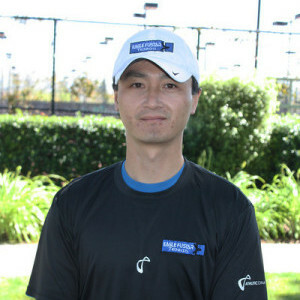 Brian has worked individually with dozens of excellent players. In fact, he has sent students on to play collegiate tennis @ UC San Diego, UC Riverside, Claremont, USF, Santa Clara University, UC Davis, Stanford, University of Washington, Arizona, Amherst, Dartmouth, Penn, Boston College, and many other schools. For private lessons, please contact Katy for rate and availability. Austin Andres just completed his successful D1 collegiate career at UC Riverside where he was playing #2 singles and #1 doubles while leading the team as captain for three years. 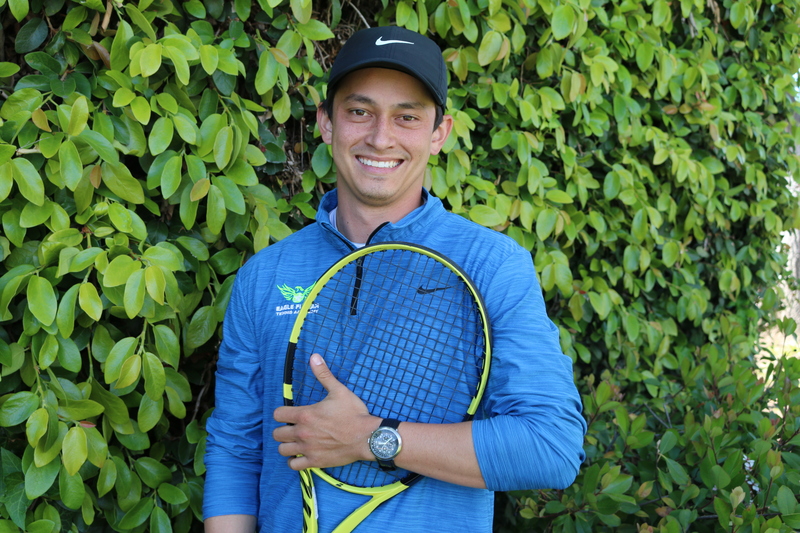 Prior to college, Austin was a top ranked Norcal and national player, and one of the original students of the Eagle Fustar program, making him an expert of our teaching structure and philosophy. As a player, Austin has always been a role model for his on court attitude and work ethic. As both a player and a coach, Austin brings great passion and enthusiasm for tennis to the court everyday. Austin has been coaching part time with Eagle Fustar during his four years of college and now that he has graduated with a B. A. in Sociology from UC Riverside, has joined Eagle Fustar full time. He is also working towards his MBA at USF as well as PTR certification. Austin will be highly involved in all of Eagle Fustar’s daily programs including High Performance, Advanced, Champs, and private lessons. He is excited to be developing players and help them navigate the junior system en route to college play. Private Lesson Rate: Please contact Austin at austinaandres@gmail.com for rate and availability. Alina Soltanici was born and raised in Moldova, where she also became one of the highest ranked juniors in the country. She had a very successful D1 college career at California State University, Sacramento, playing #1 singles and doubles all four years, while achieving a career high NCAA D1 ranking of #47. As a top ranked junior in Moldova, Alina represented her country at international events including the European Junior Championships and European Summer/Winter Cups. One of her biggest achievements was representing Moldova at FED Cup for three consecutive years. 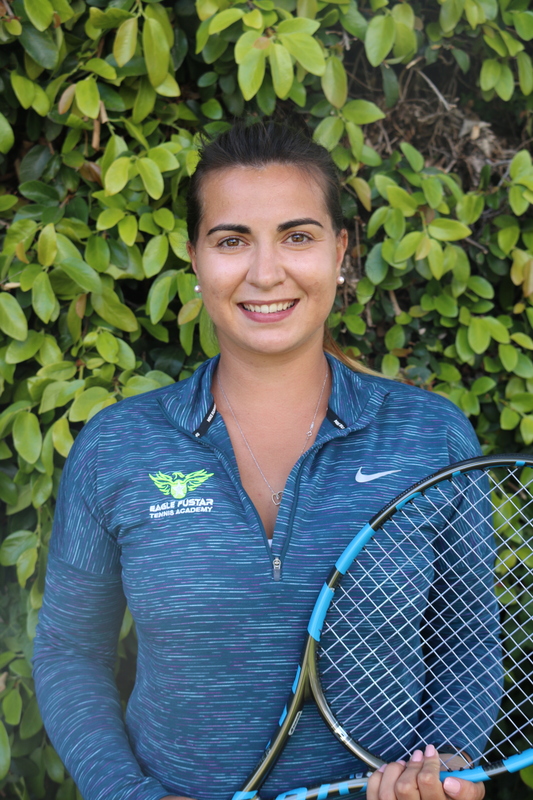 After graduating Sacramento State with an Accounting degree, Alina joined Eagle Fustar Tennis Academy on a full time basis. Alina is highly involved in all our programs: Core Performance, High Performance, Elite Performance, and our Full Time Program. Coach Alina always emphasizes the importance of hard work on the court and a positive mind set. She shares her valuable D1 experience and strong background of international competition to help our High Performance and Elite players identify areas of focus to strengthen both mental and physical aspects of their game. She also enjoys working with the younger players in our Core program, ensuring they develop the proper fundamentals and techniques to carry forward as they move to the next levels of junior tennis. Outside of tennis, Alina enjoys reading, hiking and attending cooking classes. Marco is certified in Demandbase Account Based Marketing, SimpliLearn Content/SocialMedia/Email Marketing, Google Analytics (IQ), Google Adwords (Search, Display, Video, Shopping, Mobile), Hootsuite Social Media Marketing, and HubSpot Inbound Marketing. 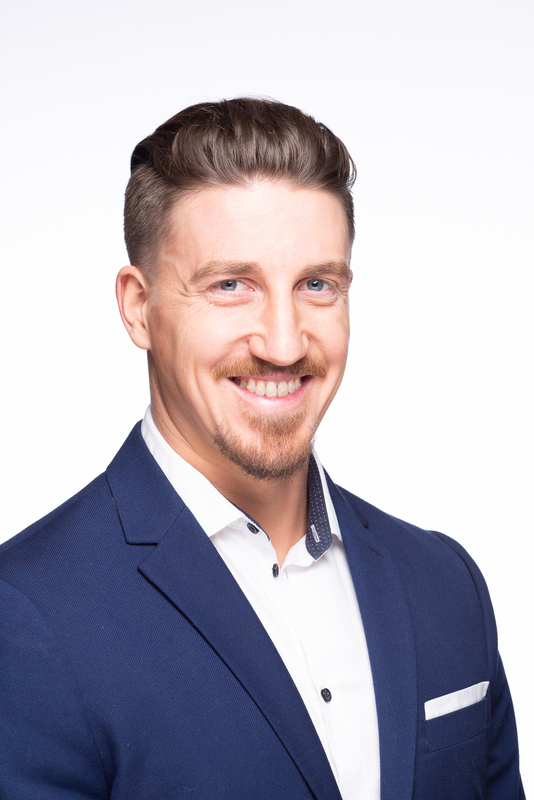 He holds certifications from Harvard Business School in Management & Leadership and graduated from Fresno Pacific University School of Business with an MBA in Global Marketing Management in 2009. Prior, he received his B.A. in Management and Marketing from Fresno Pacific University. If you are interested in private lessons from one of our coaches, call or email Katy at (408) 242-5559 or katy@eaglefustar.com and we will get back to you as soon as we can!